The live webinar has concluded. Click here to watch the on demand webinar. Hard-to-fill roles require forward-thinking strategies. 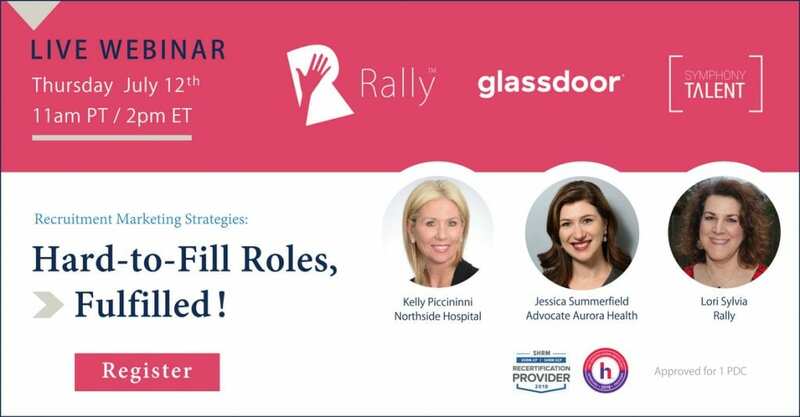 Join us for this one-hour Live Webinar to get an inside look at the modern Recruitment Marketing strategies that are working for Northside Hospital and Advocate Aurora Health. Our panelists will open up about what content, channels and technologies they’re using to attract top talent in the competitive healthcare industry, that you can use for any hard-to-fill role in any field. Approved for 1 PDC from SHRM and HRCI.